The satellite has successfully used its on-board net technology in orbit, and it is described as the first demonstration in human history of active debris removal (ADR) technology. The RemoveDEBRIS satellite – RemDeb to its friends – is the creation of a consortium of space companies and research institutions led by the Surrey Space Centre at the University of Surrey. And you can actually see the net in action below, with the video recorded on Sunday 16 September. And there are more highlights from the experiment below that. In the coming months, RemoveDEBRIS will test more ADR technologies: a vision-based navigation system that uses cameras and LiDaR technology to analyse and observe potential pieces of debris; the first harpoon capture technology used in orbit; and a drag-sail that will finally bring RemoveDEBRIS into the Earth’s atmosphere where it will be destroyed, bringing its mission to a close. The university is rightly proud that the spacecraft is operated in orbit by engineers at Surrey Satellite Technology in Guildford. “We are absolutely delighted with the outcome of the net technology,” said Professor Guglielmo Aglietti, Director of the Surrey Space Centre. There has been a lot of testing to get this stage. 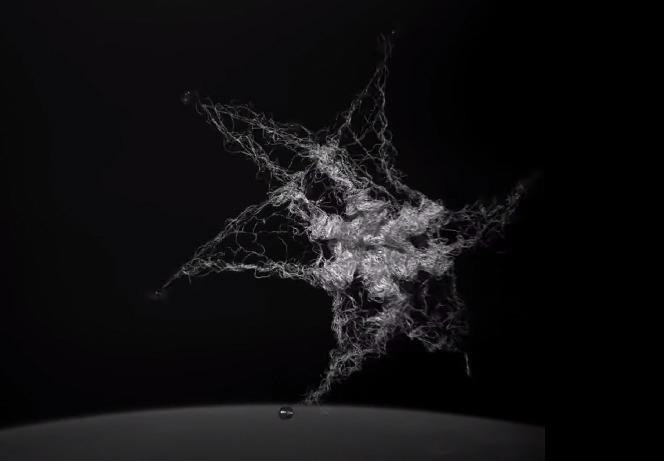 “To develop this net technology to capture space debris we spent six years testing in parabolic flights, in special drop towers and also thermal vacuum chambers,” said Ingo Retat, Airbus RemoveDEBRIS project head. The size of the problem is huge. The University of Surrey says that The US Space Surveillance Network tracks 40,000 objects and it is estimated that there are more than 7,600 tonnes of ‘space junk’ in and around Earth’s orbit. The International Space Station (ISS) even has to have shields (Whipple Shielding) to protect it from space junk, although it is still apparently covered in hundreds of dents from small impacts. Some of this junk is moving faster than a speeding bullet, approaching speeds of 30,000 miles per hour. Note that the project is co-funded by the European Commission. To be precise, the research has received funding from the European Union Seventh Framework Programme. Also note that the European Space Agency owns the largest piece of junk. It is called Envisat and is 8.5 tonnes and over 10m long. Thanks to Sue P for highlighting this one.